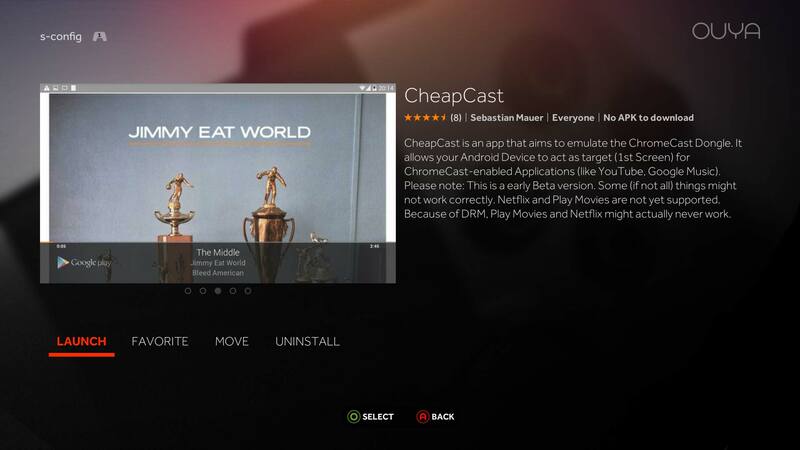 CheapCast coming to the rescue on Ouya! 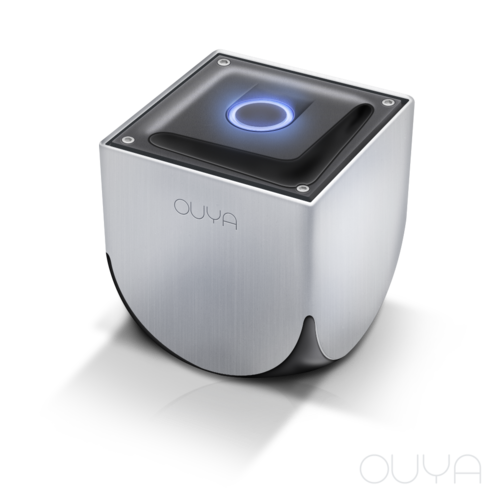 In my previous article, I have discussed a lot of AirPlay and DNLA action with AirPin for Ouya. But what if you don’t have an Apple phone? 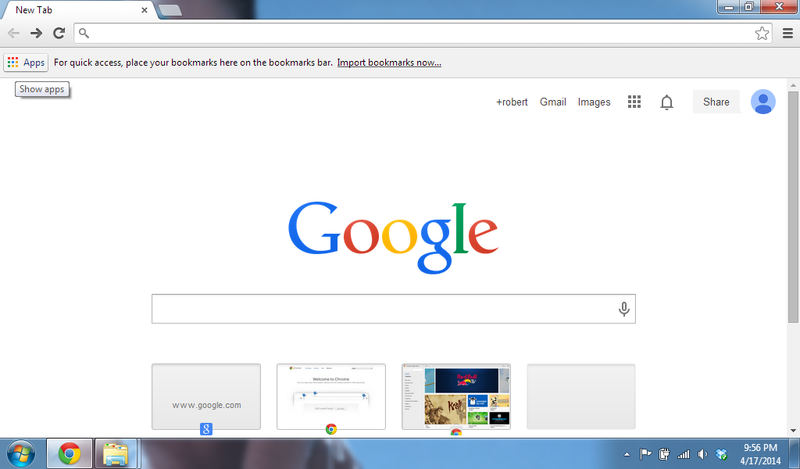 What if you got a Android phone or even a laptop which is running Google Chrome? This is where installing another service onto your Ouya called “CheapCast” will aid you in your multi-platform streaming woes. What is this ChromeCast’ing business? What are you talking about? For those who may be out of sync with the rest of the world. 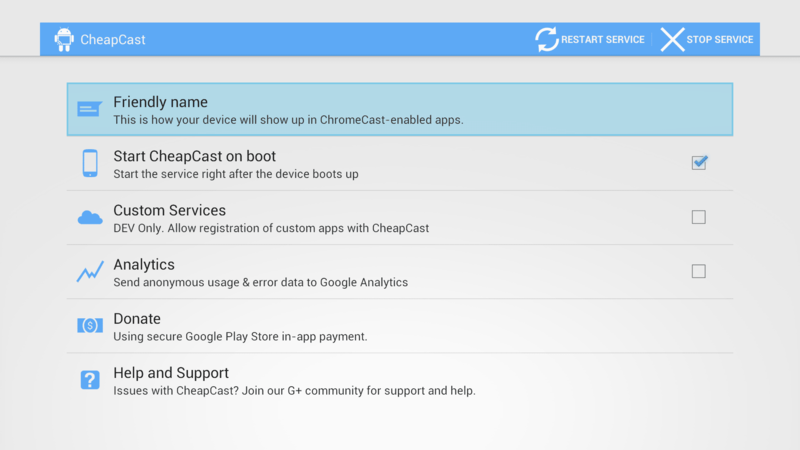 Before we talk about CheapCast; ChromaCast by Google started off as an inexpensive HDMI dongle which plugs into the back of any HDTV with HDMI connectors and effectivly turns it into a Smart TV, Capable of utilizing your portable devices and the services that they provide to broadcast videos to your living room television. And all for only $35. It should be noted that this article is old and Google has changed a lot in their API in terms of finding authentic Chromecast units. 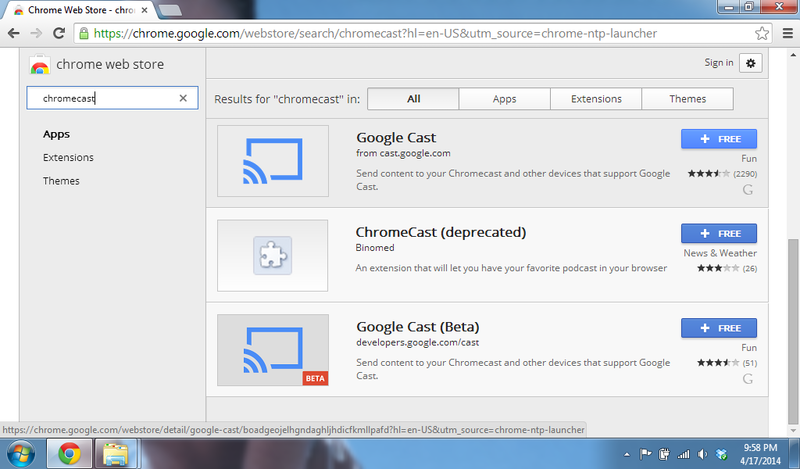 As such there may be limited on the abilities of cheapcast down to just google chrome for screencasting. S, this is stupid. Your trying to justify a $35 device with a $100 Ouya. Come on! If you have absolutely no device hooked up to your TV and just want to get SOMETHINGworking on it then feel free to purchase a Google ChromeCast. It’s a great product for the price point and especially if the TV in your room has no “Smart” functionality then awesome! The reason why I decided to host an article about this with my Ouya is simple. 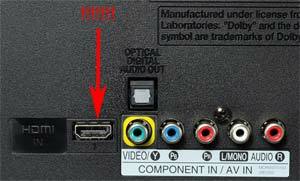 You could get a ChromeCast, an Ouya, and potentially many other devices that hook to the HDMI ports of your TV. But eventually, you will run out of ports in the back . Thus, consolidation is in order or else the back of your entertainment center will turn into an ugly rats nest! You can’t get CheapCast through the GooglePlay store! I searched everywhere to find an explanation for this and you would think that with how long it has been out and been down that somebody would have said something about it. Either via the Google Play store explaining that there may have been an intellectual property conflict. Or the developer themselves stating they want to take a different approach or perhaps make some money on this program which would be totally understandable. It’s called “CheapCast” not “FreeCast” so I would have almost expected a nominal fee with a name like that. However, short of pulling it off of some random cloud-drive storage place. It’s the only way this program is accessible anymore. Trust me if it was still on the Google Play store I would’ve given this 5 stars hands down! I did actually find out why Chromcast was ultimately removed from Google Play. It was not by force from Google themselves but by the developer due to what Google was doing to the chromecast protocol. Google has decided that they are going to encrypt all of their services including youtube! Which they have also done so on the air-play protocol making third party receiver apps pointless with the YouTube client! Under the Guise of security Google has tightened the screws down on anyone who decides that they are going to think outside the box and make their own receivers. As a result; The developer of CheapCast was being bombarded with negative reviews stating that it didn’t work for things like NetFlix, or Chromcast mirroring and the list kept getting higher and higher the more encryption practices were being used. Thanks to Martin I can provide to you the source code for those smart enough to want to continue the work of cheapcast and make it better! Since I cannot find any proof if any wrong or illegal doings with this program. I will link it until someone says otherwise to me. If the developer does have a website please let me know! I want to point people in the right direction so that they can get all of the credit that they deserve! The usual disclaimer: Always run virus checks on any program that you get from an untrusted source. There may be something that not even I know of in the APK! Download the program right here for version 0.4.6 Alpha of CheapCast. Once you have installed the APK and go into your “Make” folder you’ll notice something very different. Unlike other APK’s which you may have installed. There’s actually screenshots, a description of the APK, and everything! It is almost like the developer was making it for the Ouya marketplace then suddenly stopped. It’s very surprising to see it come up like this instead of the bland “Title” that I normally expect in the “Make” Section of Ouya. The only reason why this is so could be at one point it was on the Ouya Marketplace as there was at least 8 people that ‘rated’ this application. That’s all there is to the configuration side of the Ouya. Now, lets begin with the client side. 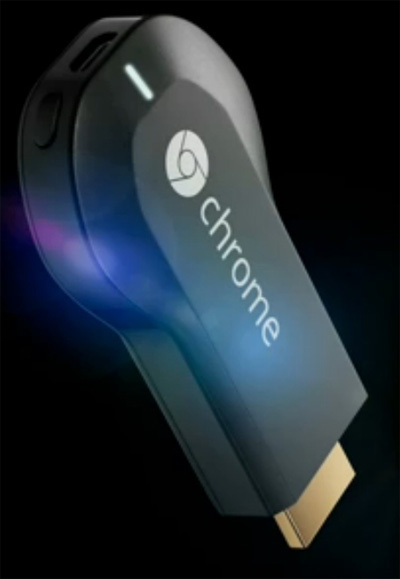 Chromecast relies heavily on Google Chrome and the ChromeCast application (That sounded redundant.) which is fairly simple to install. For a freshly installed version of Chrome, a pop-up will be already there to help you add apps in the Upper-Left hand corner. Click on it. Finally. you will see a familiar icon in the YouTube widget, click on your Ouya Device and it should immediately transfer the screen from your laptop to your Ouya. 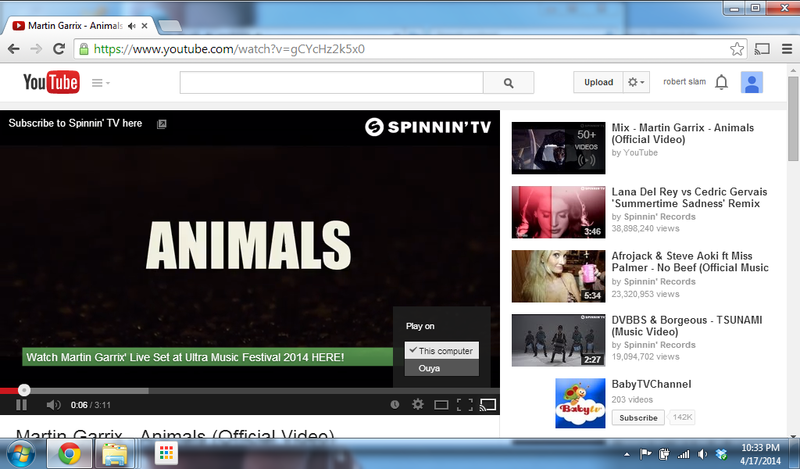 This is a screen capture of what the same video looks like on the Ouya side. 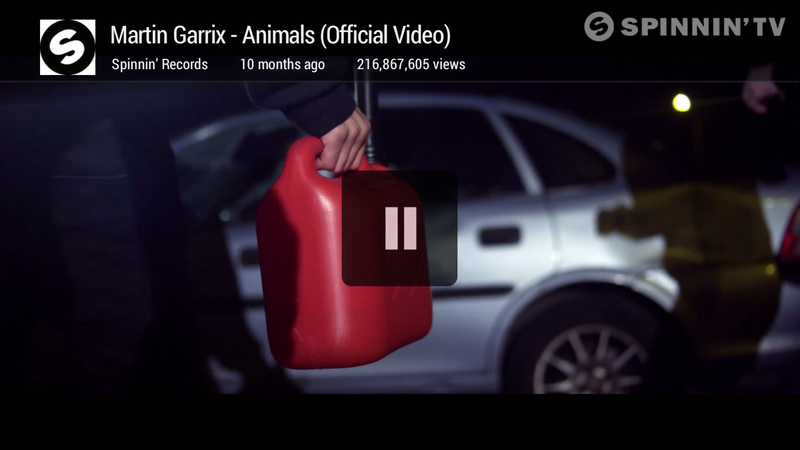 Once again just like the AirPlay article it seems to transmit at only 720p. I am unsure if there is a way to push it faster. Known problems… And boy there is a lot of them. But this is to be expected. CheapCast is a free product that its development stopped and sort of fell off of the face of the earth. And with Google adding more and more things for their ChromeCast device to do such as ‘Tabbed Browsing’ which enabled google chrome to mirror whatever web-page your laptop is looking at. And of course the DRM issue with netflix which even the developer admitted in the Description of this APK. It’s not anywhere near perfect. However, I will state that when you do ChromeCast off of your phone that it doesn’t lock up as frequently as using a computer. With a computer you can simply close google chrome and it never sends the command to shut-down ChromeCast. This leave the Ouya sort of stranded never being able to pick up again until you restart the service in the CheapCast main menu. Well, I hope this article helps you on your way for making your Ouya more entertainment friendly. It definatly has for me as we are able to now do “YouTube Wars” on our cel-phones and fire them up to the projector thanks to the Ouya. Take care, and don’t die! Tried this to gain a bit more lifetime from my Ouya using it as a casting device but its an epic fail. Doesn’t even come up as a device to cast to. Loosen the purse strings people! Reason for disappearing is simply that the API changes in later versions of the Chromecast protocol have made reliable emulation no longer viable. The original author of Cheapcast decided to pull the app from the store instead of trying to deal with increasing complaints of applications no longer being compatible. Cheapcast might make a re-appearance if anybody finds a way of making it work reliably again. That is some really good info that I did not know about. Thanks a lot! I’ve read the reviews for certain apps on Google Play and some of the reviews can be unbelievably brutal over something that was free.